Bravo Blinds Free Samples lets you touch and compare your choice of fabrics, materials and/or colors for your custom window covering. Samples are currently available on all products on our site. 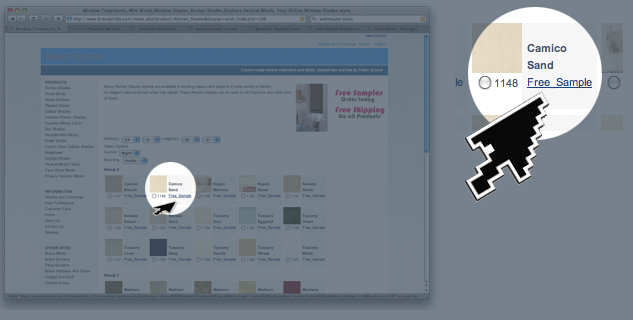 To request a free samples, simply click on Free_Sample link below the desired colors you are interested in on the product pages and proceed to checkout (see image below for an example). Standard shipping for swatches is free.